Accessories manufacturer Advent has launched its latest wired headphones called the Echo Phonz AD-HP Boom in India. 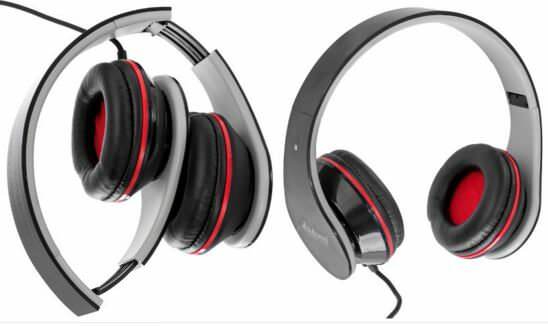 As per the brand, the accessory offers an ergonomic design and superior sound quality with enhanced bass. The headphones offer a natural fit around the head thanks to an adjustable headband. The Advent Echo Phonz AD-HP Boom headphones offer 40mm speakers and a frequency range of 20-20,000Hz. They come with a 1.5mm length wire, maximum power output of 100mw, speaker sensitivity of 105dB, microphone impedance of 32Ohm, and operating voltage of 4.5V. Being foldable, the headphones are easy to carry around. The Echo Phonz AD-HP Boom have been priced at Rs 599, and come with a manufacturer warranty of 12 months. The audio accessory will be available via major e-commerce portals and in brick-and-mortar stores across the country.